Mr. Van Der Weele has been an antitrust and commercial litigator and an antitrust counselor for more than 30 years. His antitrust litigation experience includes many high stakes monopolization/attempt cases, price fixing cases, and contested merger cases. Mr. Van Der Weele’s background in economics and mathematics has enabled him to work substantively and efficiently with both experts and client representatives on issues such as market definition, barriers to entry, competitive effects, and financial models. In addition to litigating antitrust cases, Mr. Van Der Weele has also counseled clients, many with annual sales over $1 billion, on a wide range of antitrust matters. These matters include mergers, acquisitions and joint ventures; collaborations between competitors; arrangements among health care providers analyzed under the 1996 USDOJ/FTC “Statements of Antitrust Enforcement Policy in Health Care”; the interface between intellectual property and antitrust law; tie-ins; parts and services aftermarkets; vertical restraints and resale pricing policies; dealer terminations and other refusals to deal; Robinson-Patman compliance; non-compete agreements; conduct at trade association meetings; and civil and criminal state and federal antitrust investigations. Mr. Van Der Weele has also created client antitrust compliance programs, trained employees on antitrust compliance, and spoken at numerous CLE programs on a variety of antitrust topics. 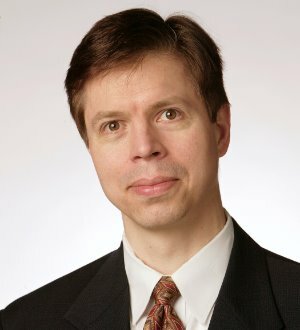 Mr. Van Der Weele has also handled business litigation cases in a number of areas, including Articles 2 and 9 of the Uniform Commercial Code, non-UCC contracts, indemnity agreements, construction lien foreclosure, shareholder disputes/corporate governance, business valuation, business torts, statutory unlawful trade practices, and trademark infringement. Listed in Best Lawyers in America® for Antitrust Law every year since the publication created the category in Oregon in 2007. He is also recognized for Litigation - Antitrust and Commercial Litigation.